Strictly Come Dancing Series 15. Full voting breakdown for Series Fourteen will be available here: SERIES 15 VOTING. 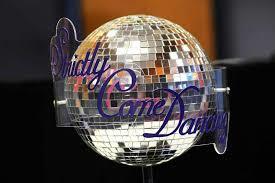 Keep up to date with all the news and information on series 15 of the BBC's hit show Strictly Come Dancing. Series 15 will air on BBC1 prime time, Saturdays, commencing with the launch show on Saturday 9th September. The show will follow a similar format to previous series, this time with 15 couples taking part (8 female celebrities and 7 male celebrities). The competition will initially air on Saturday nights starting in September. The first two weeks will see an accumulation of the scores, then the voting lines will be opened. There will once more be a "dance off" where the two couples with the lowest scores after the judges & public votes are combined will have to perform again. The judges will then make the final decision on the couple to leave the competition. The winners of the 15th Strictly Come Dancing Series - Joe McFadden & Katya Jones. Amy Dowden, born in Wales, she has a Latin American background and has won The British National Amateur latin american championship. Dianne Buswell, born in Australia, and Australian open Amateur finalist and she has been on the Australian version of Strictly. Nadiya Bychkova, born in Ukraine, she has a ballroom and Latin background and has worked on the Bosnian series of Strictly. Shirley, nicknamed "The queen of latin is a well respected professional dancer and coach. Multiple times British open, national and US champion. Joe McFadden & Katya Jones are winners of SCD series 15, placing 2nd in the judges scores, but winning the day with the public vote. The second placed couple were Alexandra Burke & Gorka Marquez, placing 1st in the judges votes, but the public did not agree. Third placed were Debbie McGee & Giovanni Pernice, with fourth going to Gemma Atkinson & Aljaz Skorjanec. The Semi Final and the eleventh couple to go are Mollie King & AJ Pritchard, placing 5th in the judges votes, and coming in the bottom 2 after the public vote along with Gemma Atkinson & Aljaz Skorjanec. The judges decided that they were the weakest and were voted off. Next week is the Final. All couples will dance a "Judges Pick" dance, followed by a showdance, then the couples favourite dance from the series. Then a final decision will be made. The tenth couple to go are Davood Ghadami & Nadiya Bychkova, placing 5th= in the judges votes, and coming in the bottom 2 after the public vote along with Alexandra Burke & Gorka Marquez. The judges decided that they were the weakest and were voted off. The ninth couple to go are Susan Calman & Kevin Clifton, placing 7th in the judges votes, and coming in the bottom 2 after the public vote along with Alexandra Burke & Gorka Marquez. The judges decided that they were the weakest and were voted off. The eighth couple to go are Jonnie Peacock & Otile Mabuse, placing 7th in the judges votes, and coming in the bottom 2 after the public vote along with Debbie McGee & Giovanni Pernice. The judges decided that they were the weakest and were voted off. The seventh couple to go are Ruth Langsford & Anton Du Beke, placing 9th in the judges votes, and coming in the bottom 2 after the public vote along with Jonnie Peacock & Otile Mabuse. The judges decided that they were the weakest and were voted off. The sixth couple to go are Aston Merrygold & Janette Manrara, placing 9th in the judges votes, and coming in the bottom 2 after the public vote along with Mollie King & AJ Pritchard. The judges decided that they were the weakest and were voted off. The fifth couple to go are Simon Rimmer & Karen Clifton, placing 11th in the judges votes, and coming in the bottom 2 after the public vote along with Mollie King & AJ Pritchard. The judges decided that they were the weakest and were voted off. The fourth couple to go are Brian Conley & Amy Dowden, placing 9th= in the judges votes, and coming in the bottom 2 after the public vote along with Simon Rimmer & Karen Clifton. The judges decided that they were the weakest and were voted off. The third couple to go are Charlotte Hawkins & Brendan Cole, placing 12th= in the judges votes, and coming in the bottom 2 after the public vote along with Davood Ghadami & Nadiya Bychkova. The judges decided that they were the weakest and were voted off. The second couple to go are Tameka Empson & Gorka Marquez, placing 9th in the judges votes, and coming in the bottom 2 after the public vote along with Simon Rimmer & Karen Clifton. The judges decided that they were the weakest and were voted off. The first couple to go are Reverend Richard Coles & Dianne Buswell, placing 14th in the judges votes over the first two weeks, and coming in the bottom 2 after the public vote along with Brian Conley & Amy Dowden. The judges decided that they were the weakest and were voted off. Next week is movie week. Page Updated with the pro/ celebrity pairings. SCD 15 Page Updated with confirmed professionals and celebrities. W1 to 11 Grey Shaded Cell shows that couples were dancing the Pro's specialist discipline. W5: Bruno not judging, so max marks available per couple is 30. W10: All couples dance "competition style" Paso Doble. Eliminated one by one, marked 6 points for 1st, 5 for 2nd etc (marks included in the overall total). 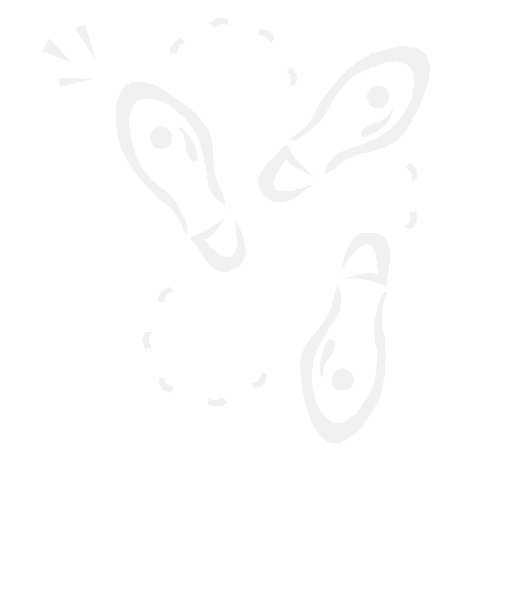 W12 to W13: Grey "dance" letter indicates couples were dancing the Pro's specialist discipline. "Strictly Come Dancing 2017" From:BBC.co.uk 05/09/17.